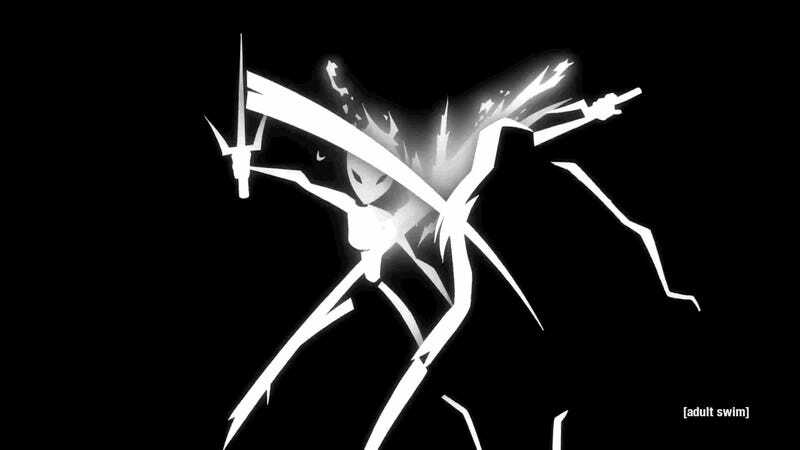 In the first full trailer for the return of Samurai Jack, it looks like mega-mystical archvillain Aku has won a decisive victory over the series’ main character. After a long wait and a bunch of recent teasers, Cartoon Network dropped a promo clip that properly sets up the stakes for the new season of Genndy Tartakovsky’s beloved action show. Jack’s stuck in a dystopian reality where Aku’s closed all the portals that could have returned the swordsman to his proper time. The grizzled hero has stopped aging and is facing down what looks like a final battle against those who carry on Aku’s wicked work. The clip makes it seem like the stylish aesthetic that won so many fans for the show is coming back in spades. Season five of Samurai Jack begins on March 11.